The AAP Kranti in Delhi: First thought !! 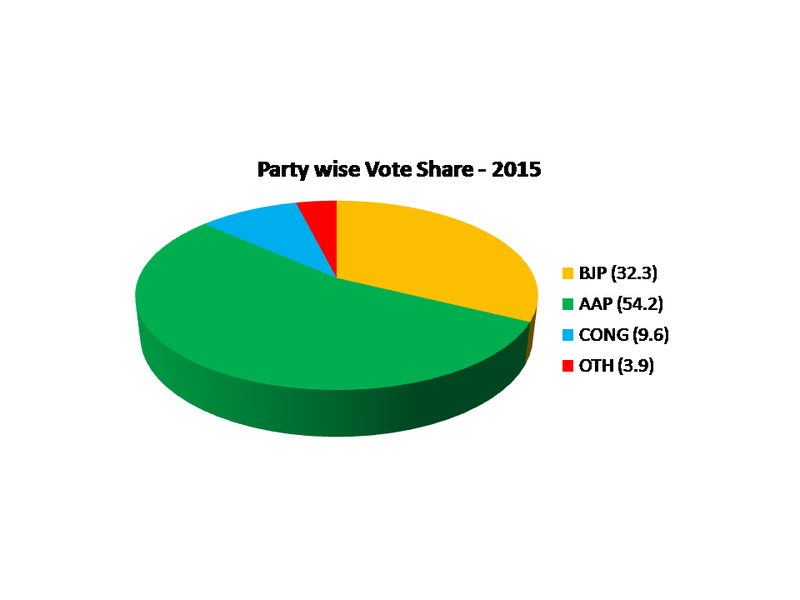 This MASSIVE margin in Vote share between AAP and its only rival BJP is of 22%. Even a lower margin would have resulted in a landslide victory for AAP. 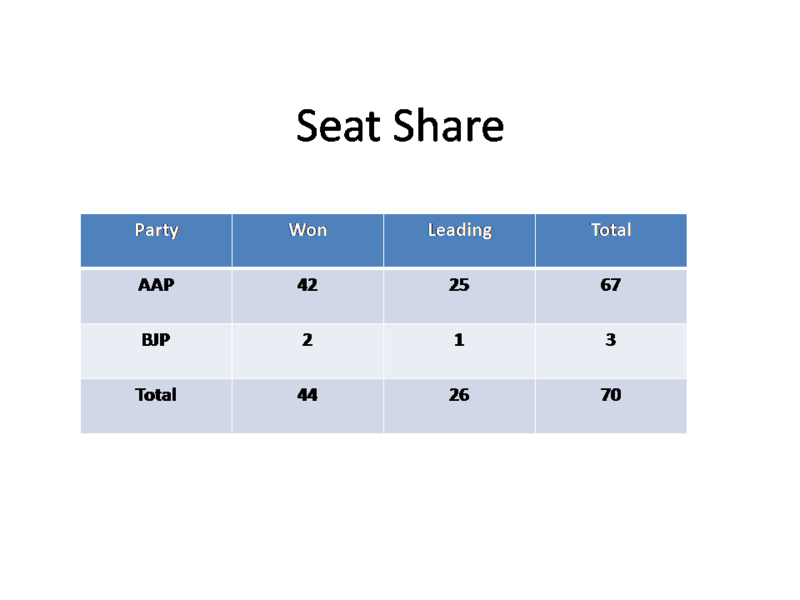 It is important to analyse how and from where AAP got these many votes. 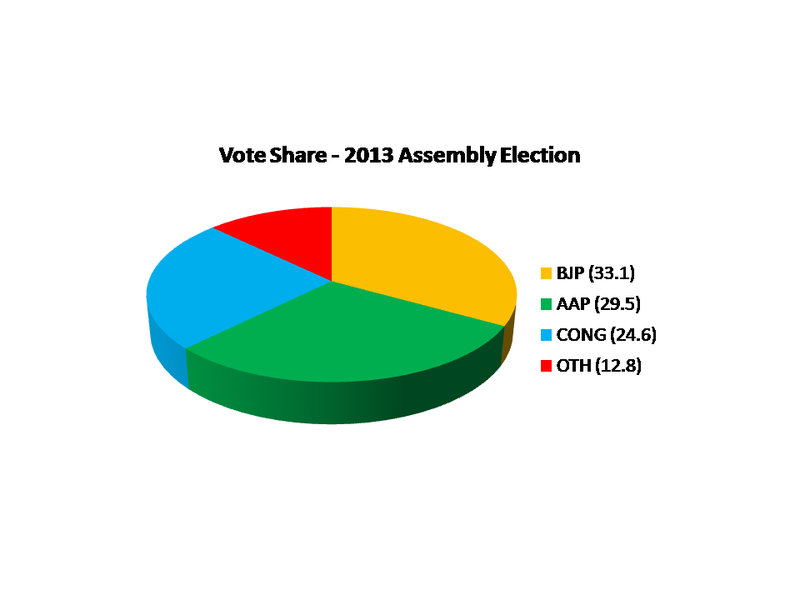 Let us look at the result of 2013 Assembly Elections which happened just a year back. 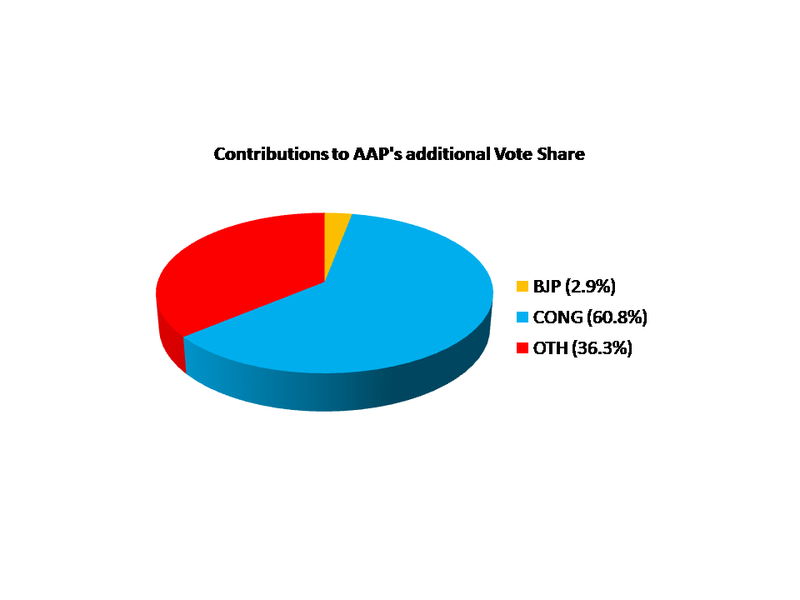 It is visible from the above two charts, that 24.7% of Vote share increased for AAP and was contributed by Congress – 15%, Others – 8.9% and also a bit of BJP – 0.8%. It is clear indication that where BJP slipped a bit and could not hold its voters in totality, the entire ANTI-BJP votes voted in a cluster for AAP to defeat BJP. It has been seen even in past, whenever ANTI-BJP votes unite against them, they lose the election. Though the BJP is the only party that has been pro-development since inception, development agenda does not work for them in election. It is a fact that 2014 General Election was fought on Development and only development, but the votes that BJP got was a polarized vote against all odds from all sections of Hindus and even on core development agenda, BJP did not get even 15%-20% of votes from other section. It does sound despicable, but electorates in India has kept proving time and again, BJP to remain in power, must not forget its core electoral reach that is “HINDUTVA”. After election, no one is bothered if … they get back to the basics of ‘Good-governance” !! Cricket World Cup and Proteas: Certainly not chokers ! BJP’s Delhi debacle – Introspection ! !